Research from estate agents Knight Frank shows the average rental prices for prime London properties fell a further 0.2% in February. Rents have now turned negative on a three-monthly basis, down 0.4%, say Knight Frank. With strong growth in mid-2011 contributed to an annual rise of 6.7% to Q4 2011, the recent rental falls mean that average rents are now at the same level as June 2011. “The rapid rebound in rental levels between mid-2009 and late-2011, when rents rose by 26.9%, was driven by a revival of the central London economy, following the ravages of the credit crunch and global recession. “By October last year, rents had recovered all losses sustained in 2008 and early 2009, and hit an all-time high at 1.8% above their previous peak in March 2008. “Further growth from here was dependent on continued demand-side expansion. But with job losses in the City beginning in Q3 last year, demand began to fall back a little in October. “While employment prospects in central London are still weak, there are some encouraging indicators for landlords. The volume of new tenant registrations rose 23% in the three months to February compared to the same period a year earlier. “While supply has also risen, it has done so at a slower rate. New property instructions are higher by only 13% over the same period. “An additional measure confirms conditions in the London property market are beginning to improve in favour of landlords, with the ratio of new applicants to new instructions rising from 3.1 to 3.5 over the past year. “Yet again the strongest part of the market remains the lower price ranges, with average rents in the £500 to £1,500 per week bracket down by only 0.1% in the three months to February, compared to a decline of 0.9% in the £1,500+ per week bracket. Tim Hyatt, Head of Knight Frank residential lettings, comments, “After such a considerable rise in rents and the Christmas slow down which was endured pre and post-Christmas, it is not surprising that rents have dropped by a marginal amount over the course of the last three months. 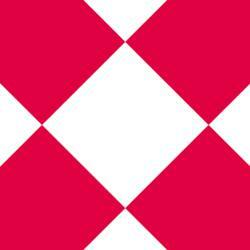 Knight Frank LLP is the leading independent global property consultancy. Headquartered in London, Knight Frank and its New York-based global partner, Newmark Knight Frank, operate from 242 offices, in 43 countries, across six continents. More than 7,067 professionals handle in excess of US$817 billion (£498 billion) worth of commercial, agricultural and residential real estate annually, advising clients ranging from individual owners and buyers to major developers, investors and corporate tenants. For further information about the Company, please visit http://www.knightfrank.com.